Chaz is our official water kitteh around here. He's fascinated by all things that contain water: showers, sinks, toilets. 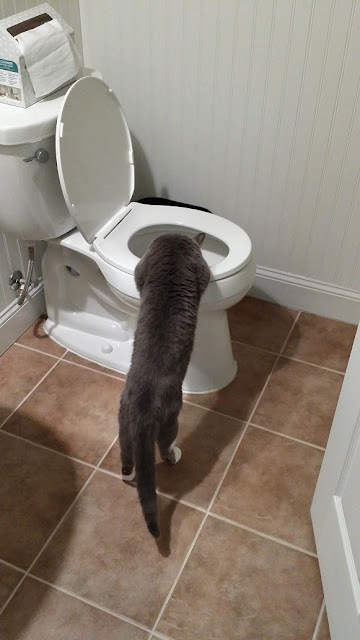 He doesn't drink out of the toilet, mind you, he just likes to watch the water. We tried to use one of those kitteh watering fountains once and he was so enamored with it that he kept knocking it over, spilling the water everywhere.